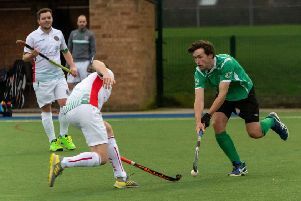 New Tasmanian signing Ollie Smith spearheaded an extraordinary 9-3 victory for Chesterfield to keep up their push for the title in Division Three of the Midland Men’s Hockey League. 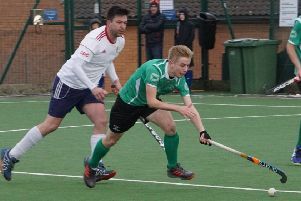 Smith scored four of the goals in a man-of-the-match performance against stunned Sikh Union, of Nottingham, that featured five other marksmen, including skipper Josh Brocklehurst. A buoyant Brocklehurst said: “That was excellent! Some of our attacking play was exceptional and we should have scored more, to be honest. “Ollie is proving to be a welcome addition, and he’s a great influence on the younger lads in particular. Chesterfield had to go into the game without player/coach Christian Battye, who looks set to miss the rest of the season after fracturing a bone in his hand two weeks ago. But they still got off to the best possible start when Joe Morton opened the scoring inside the first minute with an emphatic finish low into the net. Surinder Saini equalised for the hosts, but Chesterfield regained the lead almost immediately after Smith got on the end of an incisive pass from Dan Molloy to deflect the ball home. The Tasmanian then bagged his second before Brocklehurst was in the right place to turn in from close range to give his side a 4-1 half-time lead. There was no let-up in the second half as Chesterfield pushed for even more goals. Within five minutes of the restart, Smith completed his hat-trick, then Moores rounded off a fine team move to make it 6-1. Molloy fired home from a penalty corner for 7-1, but the pick of the goals was a fine backhand strike from Smith, who unleashed a rocket into the top corner after leaving the Sikh Union defence in his wake. Louis Johnson completed the rout with a deft touch past the ‘keeper before the home side pinched two consolation goals late on thanks to veteran Dharminder Hundal.